Boye Aluminum Crochet Hook size F (3.75mm), measures 6 inches long and feature the preferred tapered throat and smooth rounded head. Precision-crafted quality assures a fine finish and accuracy of gauge. Made in USA. Note that Knitting needles ship in a mailing tube. 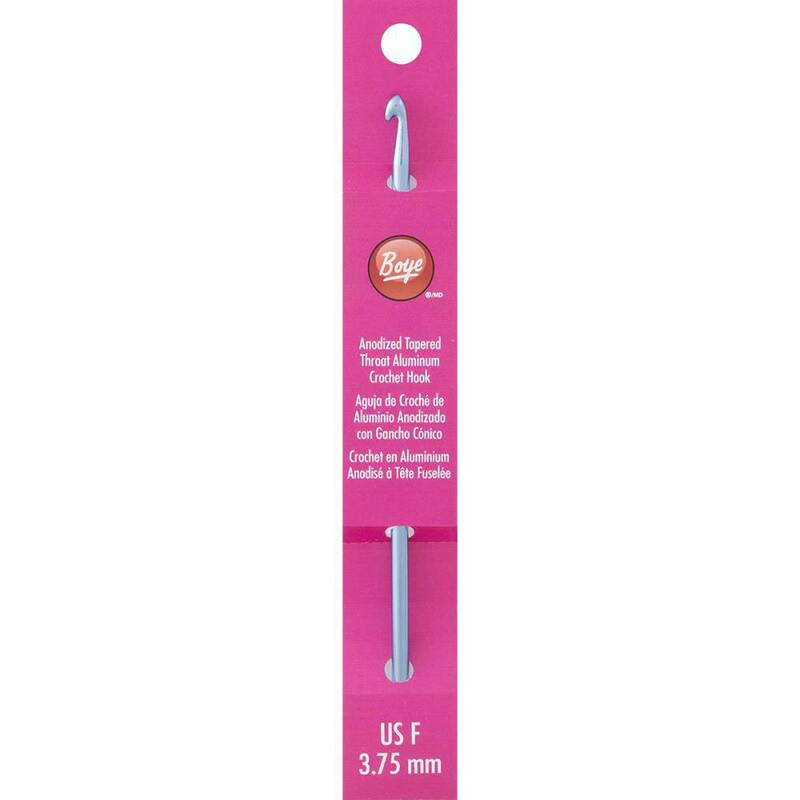 If you order knitting needles in addition to a crochet hook, it may be possible to ship more all items together in the tube, but please check with me if you are ordering several different needles and/or hooks. Other items that do not fit in the tube may have to be shipped separately, i.e. yarn, books, other tools, beads - I will contact you if this is necessary.